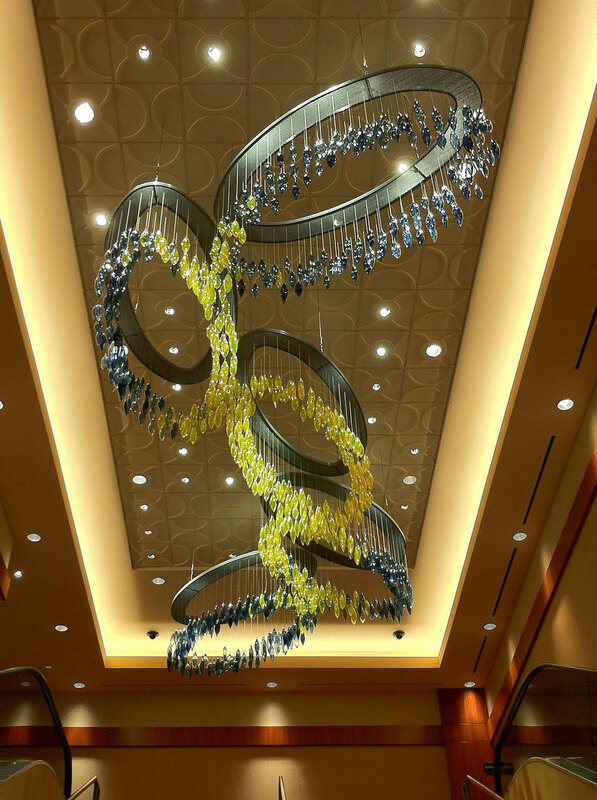 Passage is suspended above a set of stairs and escalators going from the casino floor to the conference level. 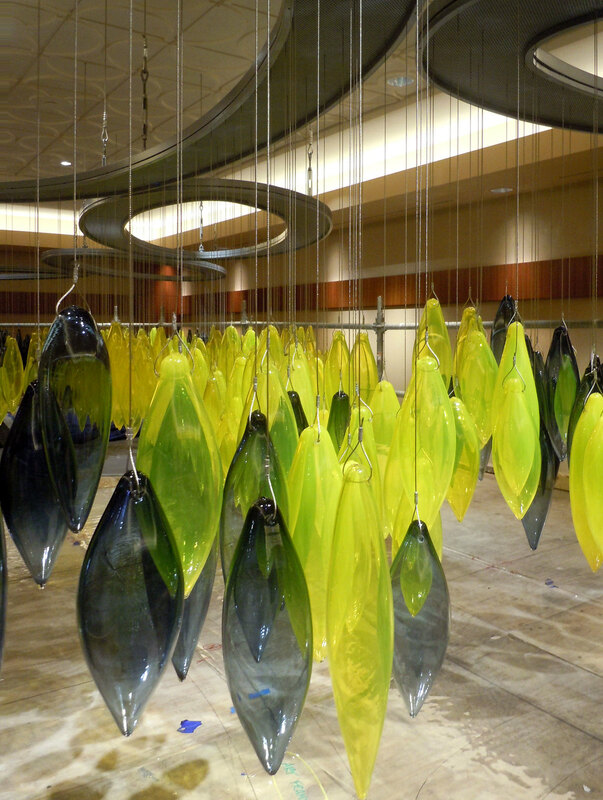 Seven hundred hand-blown glass pods hang from five steel oval rings, each 8'x4'. The colors of the glass move from blues to yellows to blues again, referring to the passage of time in a day. The detail images show the artwork at the vantage point from the scaffolding platform that was present during installation.